The primary objective of the Nominating Committee (“Committee”) is to establish a documented, formal and transparent procedure to support and advise the Board of Directors (“Board”) in fulfilling their responsibilities to shareholders in ensuring that the Board comprised individuals with an optimal mix of qualifications, skills and experience. The members of the Committee shall be appointed by the Board from amongst the Directors of the Company and shall comprise at least three (3) members, all of whom must be Non-Executive Directors, with a majority of them being independent. The Committee is authorised to seek any information it requires from management of the Company in order to perform its duties. 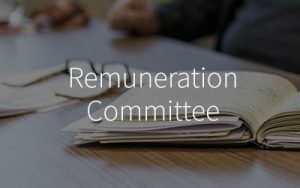 The Committee is authorised to call for any appropriate person to be in attendance to make presentations or furnish or provide independent advice on any matters within the scope of responsibilities. Subject to the notice and quorum requirements as provided in the Terms of Reference, meeting of the Committee may be held and conducted through the telephone or any communication equipment or device which allows all persons participating in the meeting to hear each other. A person so participating shall be deemed to be present in person at the meeting and shall be entitled to vote and be counted in a quorum accordingly. A resolution in writing, signed by a majority of the Committee members present in Malaysia for the time being entitled to receive notice of a meeting of the Committee, shall be as valid and effectual as if it had been passed at a meeting of the Committee duly convened and held. Any such resolution may consist of several documents in like form, each signed by one or more of the members of the Committee. The expressions “in writing” and “signed” include approval by telefax, telex, cable or telegram by any such member of the Committee. A Director may participate in a Committee meeting by means of a conference telephone or any communication equipment or device which allow all persons participating at the meeting to hear and speak with each other and shall be deemed as present at such meeting.